ORCA promotes chess in Ozaukee County, Wisconsin and surrounding areas. It currently consists of the Port Washington chess group, which meets every Monday at Java Dock Cafe in Port Washington, and the Thursday Knights group, which meets on the second Thursday of every month at Christ Perks cafė in Mequon, WI. Look here for news updates, tournament announcements and other items of interest relating to our organization or chess in general. This supplements our main website: www.orcachess.org. 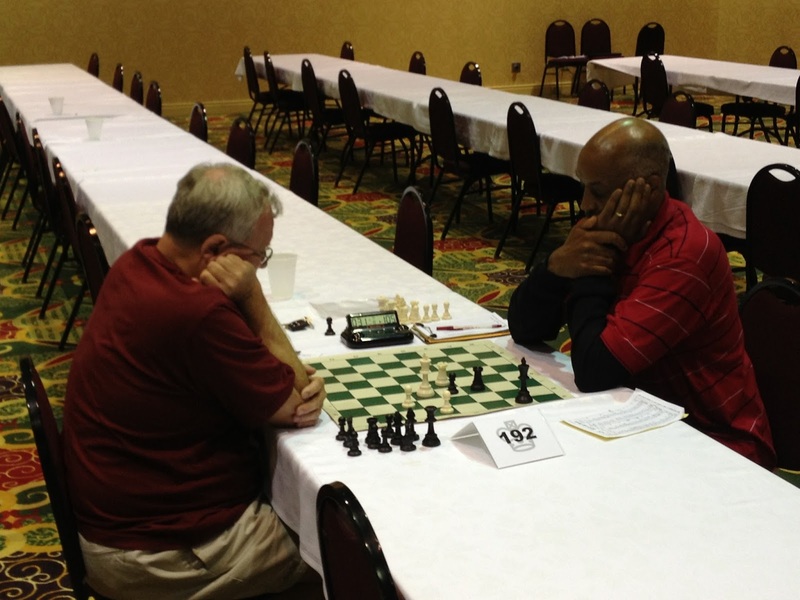 Al Buschmann and I (Steve Etzel) represented ORCA in the 114th US Open Chess Championship in Madison (Middleton), Wisconsin. In this blog entry I will give an overview of our experiences and attempt to capture the atmosphere of the tournament. From my perspective, this was perhaps the best experience of my 40-year chess "career". As Milwaukee-area residents, Al and I felt this was the opportunity of a lifetime and we decided very early on to take advantage of it. I will be the first to admit that I would have preferred Milwaukee for Wisconsin's first US Open in decades, but I have nothing but good to say about the tournament site (see the July 2013 issue of Chess Life, page 46 for a more complete description). 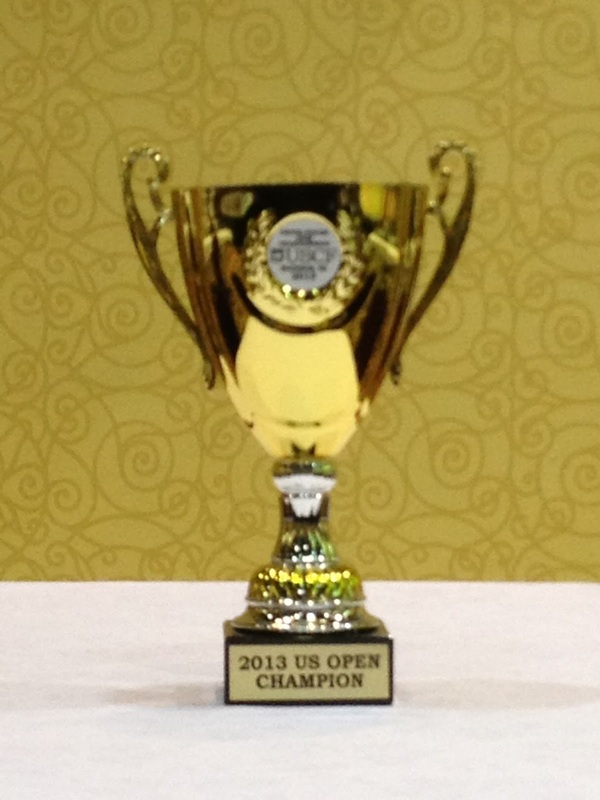 Before I go on, let me congratulate Milwaukee-based GM Josh Friedel on winning the tournament. 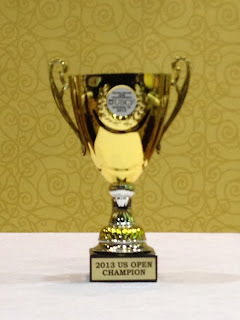 Josh was one of three players with an 8-1 score, and he won a blitz playoff to win the title and an automatic entry into the next US Championship. Having registered for the 6-day schedule, we arrived mid-afternoon on Tuesday, July 30. After getting settled into our room at the Marriott where the tournament was held, we toured the conference center. Despite having seen pictures, I was unprepared for how massive the playing room was. This also gave us an opportunity to look at the wall chart and review the field of players, some of whom had already been playing since Saturday in the Traditional (one game per day) schedule. After a discussion with one of the TDs and a check of the online entries, we soon realized that the field was comprised of some very strong players (see chart below). To say that this was intimidating would be an understatement. The highest rated player was 2668 and the lowest was 100. I did note that the 100 rated player managed a win against a 1538! There were also 5 unrated players. Unofficial - Based on per-tournament ratings. I did some analysis of the final crosstable and compiled some unofficial statistics. By my count, there were 512 entries, after adjusting for 7 people who paid a fee to re-enter. Wisconsin was well represented, with 136 players. 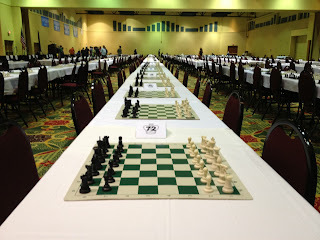 I believe this turnout was comparable to other recent Opens, so the organizers and the USCF should be very pleased about "taking a chance" on Madison. The playing site also had a skittles room, a fully-stocked chess store, "Chess Control" registration/info center, and meeting rooms. 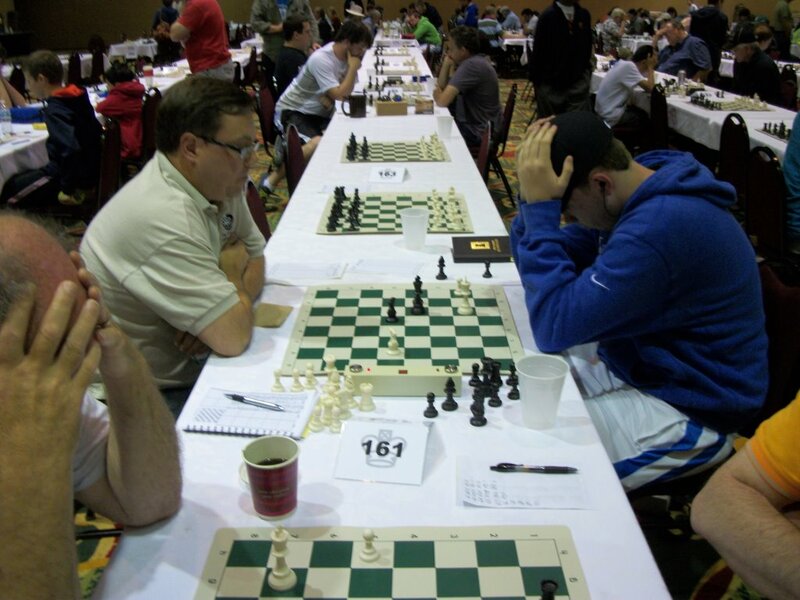 Many chessplayers probably don't realize that the US Open holds its annual business meetings concurrent with the Open, and delegates from around the country participate. I sat in on one of the open sessions and it appeared that the proceedings were civil and productive. As a final note, I was also impressed by the large number of strong young players and also the gender/racial/ethnic diversity represented. The FIDE slogan, "Gens Una Sumus" (roughly translated as "we are one nation"), definitely applied. This event also confirmed my assertion that chess is a very social game. I enjoyed interacting with my Wisconsin chess friends, as well as an acquaintance I knew from my days at the Pittsburgh Chess Club. I was even able to obtain autographs from several GMs, which they graciously gave. The Open is a 9-round tournament held over many days and at slow time controls. This is a formula for exhaustion and chess saturation. However, once the tournament was under way, there was definitely a lot of chess energy. Both mental and physical stamina was required, as the longest games each night did not finish until after 1:00 AM. Fortunately for Al and me, our games finished earlier and we were able to get to sleep by about midnight at the latest. Despite all the demands of the event, the atmosphere was almost exhilarating at times. At the Friday night session, when all 500+ entrants were merged into one big section, the mass of chess-playing humanity was impressive. Similarly, seeing 100 people playing in the Blitz event on Saturday was inspiring. An interesting challenge was deciding how to spend our free time. We generally ate two meals each day, a mid-morning breakfast and a late-afternoon lunch/dinner. Snacks and a little caffeine sustained us during the rounds and after the rounds. Due to the evening rounds, sleep was another challenge. It was often hard to unwind after a hard-fought game. A few well-placed cat naps during the day helped tremendously. On other occasions, we took a walk to get some fresh air and experience the perfect weather conditions. We spent some time analyzing our games, but did not spend a lot of time preparing before the rounds. Likewise, we did not spend much time in the skittles room. We probably spent a little too much time and money in the chess store! Don't tell our wives. In summary, the Open is a marathon, not a sprint, so getting into some kind of routine is critical. I entered the tournament with a 1579 rating, which ranked me about 374th at the start. Thanks to a strong finish (I got draws against an 1800 and a 1900 in the 7th and 8th rounds, respectively, and a win against an 1800 in the last round). I finished with an even score of 4.5 points. This moved me up to a tie for 212th with many others. Still to be determined, but I think I get a share of the 3rd/4th place Class C prizes. It won't be enough to retire so I bought a lottery ticket on the drive home. My performance rating was about 1700, which is somewhat above my current strength. I attribute my results to a level-headed state of mind at the board, along with the slower time controls. Having seemingly unlimited time to think allowed me to eliminate most of the serious blunders from my games. However, I did have to often remind myself to slow down, and I probably should have spent more time on my moves in general. I didn't get to do much preparation before the tournament, other than some tactics problems and keeping up with my correspondence games on Chess.com. I had White 4 times and Black 5 times. None of my games were played against players rated similar to me, which can happen in a big open tournament like this one. I played "up" five times, and the lowest rating of these opponents was 1800. As can be expected, two of my three lower-rated opponents played at a level stronger than their rating would indicate. I don't obsess too much about ratings math, but I was "hurt" by the fact that two of my opponents were rated just above 900. Al scored a very respectable 3.5 points, thanks in part to successfully executing a Rook + Pawn endgame in the final round. In closing, below are a few photos taken at the Open. See our ORCA Facebook page for more. Under the photos is an annotated version of my Round 9 game. The tournament hall. The picture does not do justice to the expanse of this room. Al's last round game. It took over five hours to grind out this win. Steve is ready to force a draw in a tenuous Knight + Pawn ending. Comments or questions on this blog post would be appreciated. Great article! The game is a great example of defense in a scary situation, eventually leading to problems to the attacker. I love everything about this! Glad you got to enjoy my favorite Midwestern town while realizing a life goal. Congrats. In looking back during the week your observations were spot on. We talked about the caliber of players and that “nothing came easy” during this one. That is evidenced with the pre-rating distribution you've posted. It truly was a once in a lifetime event and I’m glad to have shared it with a friend. What I thought most interesting was the kindness that was shown during and especially after my second round game by Matt Morabito. No finer gentleman was observed by me and he was most gracious to review my later games after having experienced loss himself. He managed to teach me that there are many more possibilities should one look close enough. For me there was a range of emotion felt that stretched over the 6 days running from despair to resolute purpose. Frustration is part of the game, but at the end of the day, I had to remind myself of the next opportunity to play. It certainly was hard to sleep mulling over what could have been until accepting what actually was. When all was said and done, it was a wonderful opportunity to make new friends, enjoy time with old ones and observe what Chess is like for the highest level of player. Very interesting. A well written piece that also was educational to those like me that have no knowledge of the chess world.